When I was a visitor to Hawaii, I used to wonder what all those signs were about — the ones at the foot of waterfalls, ponds, and inlets that warn of Leptospirosis in the water. Typically, I ignored them. But, as a local, I’m much more aware of my surroundings and the posted warnings in place to keep me safe (or maybe I’ve just aged — who knows?!). Either way, it’s important YOU pay attention to the posted warning signs, too. They’re there to keep you safe and away from harmful bacteria that could lurk in the water in Hawaii. The most common bacteria in the water in Hawaii is called leptospirosis. Leptospirosis is a bacterial disease that affects humans and animals. The disease occurs all over the world, but is most common in warm climates. Leptospirosis can infect cattle, pigs, horses, dogs, and wild animals such as rodents (rats, mice), mongoose, and sea mammals. Leptospirosis is a bacteria formed in natural waterways that get contaminated with urine from animals like rats. You can get leptospirosis by swimming or wading in freshwater puddles, ponds, or streams contaminated with animal urine, or by coming into contact with wet soil or plants contaminated with animal urine. The bacterium enters the body through broken skin or through the soft tissues on the insides of the mouth, nose, or eyes. You can also get it by direct contact to urine, blood, or tissues from an infected animal. Leptospirosis is not spread from person to person. The symptoms include fever, headache, chills, sweating, muscle pain, painful eyes, and vomiting. Occasionally, yellowing (jaundice) of the skin and the whites of the eyes and a rash may also occur. The symptoms may last from a few days to several weeks. In some persons, the infection can be mild and without obvious symptoms. On the other hand, as recently as 2010, liver and kidney failure have been observed. The symptoms usually start 7 to 14 days after being infected, but the onset can range from 2 to 30 days. A doctor can prescribe medicines to treat leptospirosis. If not treated, the patient can develop meningitis, kidney damage, or liver damage. In rare cases, even death may occur. 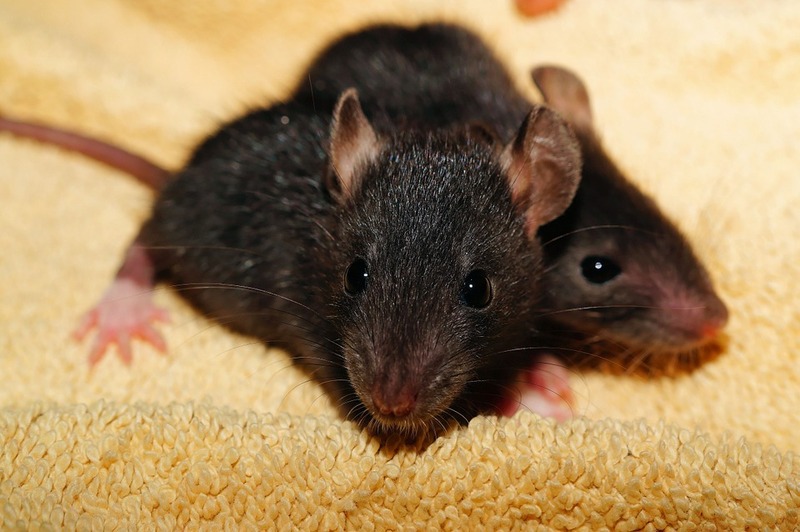 How can you prevent leptospirosis? Do not swim or wade in any freshwater streams or ponds in Hawaii, especially when you have open cuts or sores. Swimming with your head underwater also increases your risk of infection through the eyes, nose, and mouth. Do not drink pond or stream water without boiling or chemically treating it. Keep catchment water-collection areas free from overhanging tree branches and prevent access to these areas by animals. Control rats, mice, and mongooses in areas around the home and work site with trapping and poisoning, and by removing their nests. Wear protective clothing including gloves, boots, long-sleeved shirts, and pants when clearing shrubs or grass, or working in wet soil where leptospirosis is a problem. 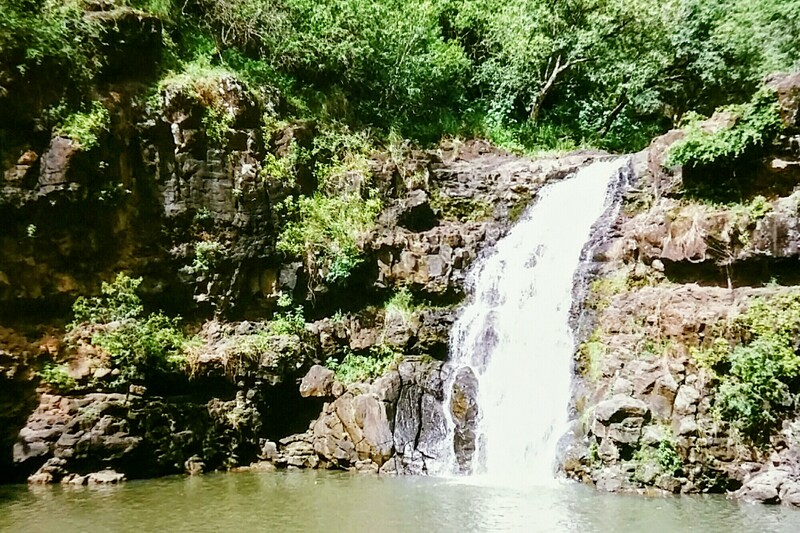 Although tropical retreats like Waimea Falls look inviting, visitors need to heed any warning signs suggesting Leptospirosis may be present. Wear gloves when disposing of dead animals and when gutting (cleaning) livestock or game animals. Vaccinate farm animals and pets. If you want to ensure your safety, make sure you visit waterfalls under the care of a knowledgeable guide who knows which ponds and waterfalls are most likely to carry the bacteria. Many tours, such as the Maui Hiking Tours offered by Hawaii Aloha Travel, provide guides who can help keep you safe when visiting places that could have high bacteria levels. We all see folks splashing around and playing in waterfalls — few, if any, will become ill with a bacterial infection. But, it’s imporant to stay safe and make sure you pay attention to any posted signs!